So...browsing one of my favorite blogs, http://www.thesunnysideupblog.com/ I discovered a GREAT idea! 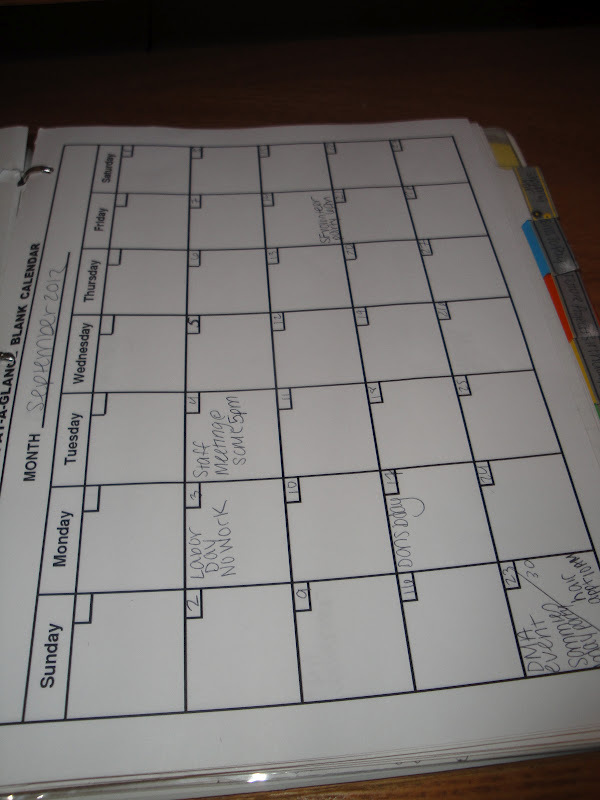 Here is my very own, Time Management Binder. I designed mine slightly differently then Erin did so it works for my own needs. These are the tabs I included in my binder. Some you cannot see in the picture because some of the pages blocked the tabs in the back. 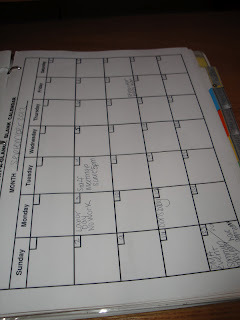 along with my weekly itinerary and an ongoing list of blog topics! a master shopping list, scrapbook supplies shopping list, a list of holiday decor I eventually want to purchase for when I own my own house, and a list of books and movies I would like to read and watch. Bills to Pay is exactly what it sounds. A list of my current bills, what I have paid, what is upcoming, and the balances on all my credit cards. Future Projects has a list of the projects I want to complete in the future. The Birthday section of this binder is really just that. I have a page for each month and underneath the month it lists any birthdays of friends and family in that month. The Random section has a multitude of things. I have a list of style ideas, a list of products I've tried and love, the fall schedule of tv shows and some magazine clippings from fitness sections. Christmas holds a list of the ideas I have for Christmas presents, what I have actually purchased, and then my official list (selected and purchased). I also have a list of stocking stuffer ideas that I compiled from many articles online! And finally...my inventory. Well this is a little embarrassing to share but I keep an inventory. Every time I buy something new I simply add it to the list and every time I donate something I cross it off. This a good way for me to keep track of what I have. I also think of it as when I move I can make sure that I didn't lose anything in the process. My family thinks I'm nuts. I think I'm just super organized! That's all for my Time Management Binder! I hope that it may have helped some of you crazy organized people out there! Inspiration, Goals, and a lazy lazy dog! What is in that clear bin?! A tour of my jewelry armoire!